Building Bridges (BB) is an European Restorative Justice project focusing on building bridges between offenders and victims of crime. With 9 European partners we will be working during 2 years (2014 – 2015) towards a training program where both offenders and victims will benefit from and to be used both inside and outside prisons. Along with the development and provision of pilot trainings in 7 countries, the program is scientifically researched by the University of Hull, England and MAKAM Research, Vienna, Austria. The starting point is the existing Sycamore Tree Project (STP), developed by Prison Fellowship International (PFI) and conducted by more than 30 Prison Fellowship organizations in the world. This course is based on the ideas of Restorative Justice. In Europe only a limited number of countries use an (adapted) version to meet its own context and needs of STP. The BB project will expand this number by 3 and will create additional value, tools and research material to spread it to more countries and organizations. 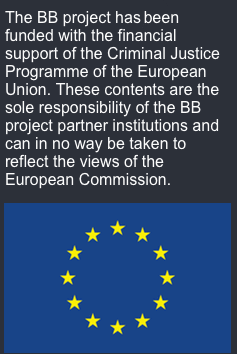 It is the first time that 4 PFI countries in Europe share and bundle their existing expertise within an EU project and jointly, with 9 partners, share and build upon this knowledge and expand it with joint recommendations regarding training content, training participants (victims and offenders), facilitators and support organizations in the Building Bridges Guidebook WS2-D2.4 Building Bridges Guidebook + Appendices Revised February 2016. All efforts will lead to a training conference in Rome on November 19 and 20 in 2015. The project therefore contributes to the promotion of restorative justice processes between offenders and victims, claimed by the UN International Handbook on Justice for Victims and the Committee of Ministers of the Council of Europe in their recommendations for the use of mediation in penal processes and to victim support processes in the European Member States.